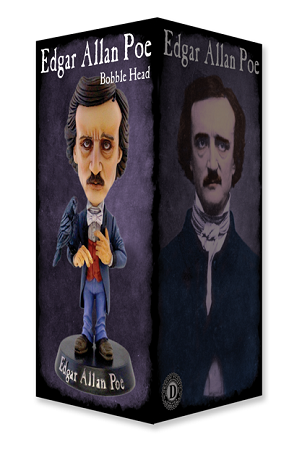 Edgar Allan Poe, one of history's most revered authors, is now eternalized as a hand-numbered, limited edition bobble head. For centuries, Poe has endured the test of time to stand out as one of America's most mysterious, yet influential literary geniuses. And now you can welcome the king of dark romanticism into you humble abode!